Like most cities, New Orleans’ architecture tells a layered story of its history and people. Unlike other cities, New Orleans is world-famous for its unique buildings, which together create a panache of unique styles and culture. In fact, NOLA is unique in that is boasts almost every architectural style there is, all in the confines of one Southern metropolis. Here are some of the most common styles of architecture you’ll find while exploring or touring New Orleans. Scattered throughout the city, creole cottages were mostly built between the late 18th century and the mid-19th. Mostly found in the French Quarter, these cottages sit at ground level at one and a half stories, and feature steeply-pitched roofs and wood or stucco facades. Creole townhouses, by contrast, are perhaps the most iconic staples of NOLA architecture. Built in the French Quarter after a fire in 1788, they are characterized by balconies, courtyards, and steep roofs featuring parapets and dormers reflecting French and Spanish influence. From 1820 to 1850, American townhouses were built in what is now NOLA’s Central Lower District and the Lower Garden District. The narrow, three-story buildings feature stucco and brick exteriors and balconies on the second floor. Double-gallery homes were built between 1920 and 1950 as a variation on the American townhouse. Set back from the property line with columns supporting two-story galleries in the front, they were thought of as suburbs in the 19th century. Narrow shotgun houses are one-story homes, with doors on each end and raised on brick piers. They often feature porches and ornamental Victorian motifs. They were first built in NOLA in the mid 18th century, but proliferated in the 1920s. Spanish-style bungalow homes were built in New Orleans in the early to mid 20th century, scattered as fill-ins among older neighborhoods. Their low-slung, vertical appearances are accentuated by sloping roofs, gables, porches and wood-siding. Much of the first-generation Creole buildings in the French Quarter were destroyed in a fire. As a result, most of today’s architecture is second-generation Creole or Greek revival style. There are some exceptions, including the Ursuline Convent, the last in-tact remainder of French colonial architecture, and The Calbido, a baroque government building built in a mix of Spanish and neo-classical style. 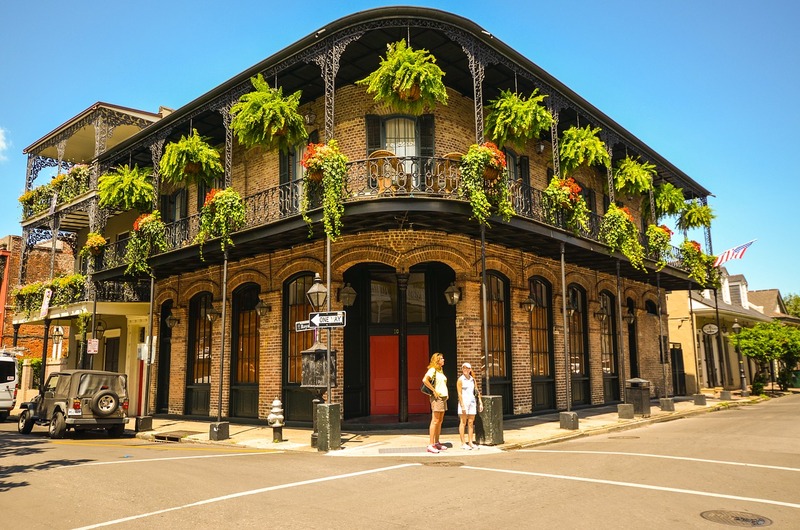 The French Quarter’s Canal Street is notably diverse, featuring Greek revival, Art Deco, Art Reneau, Renaissance Colonial and even Gothic buildings. St. Charles Avenue boasts some of NOLA’s most opulent architectural gems: southern mansions. As the largest city in the Confederacy, New Orleans was captured early in the Civil War without bombardment, preserving these historic mansions, which were built in a variety of styles. As a result, it is home to the largest collection of intact antebellum architecture. NOLA truly does have it all, so much so that it’s impossible to cover it all in one blog post. A few other noteworthy are its US Customs House, an Egyptian revival, and a rare Moorish revival church. All of this in addition to the modern skyscrapers of the Central Business District form a city like no other, and the history to match each building’s stories.